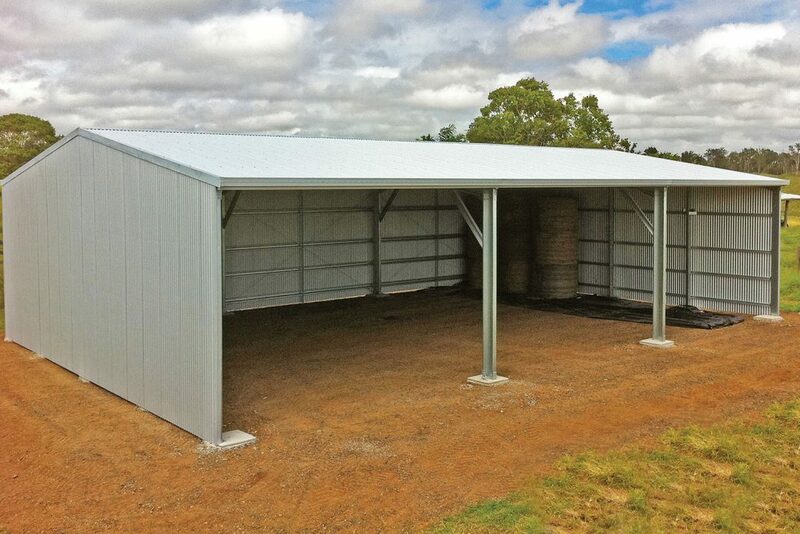 Totally Sheds has the perfect rural farm shed or building for you, regardless of what you need to store. We custom design every rural shed so it suits you and your property. 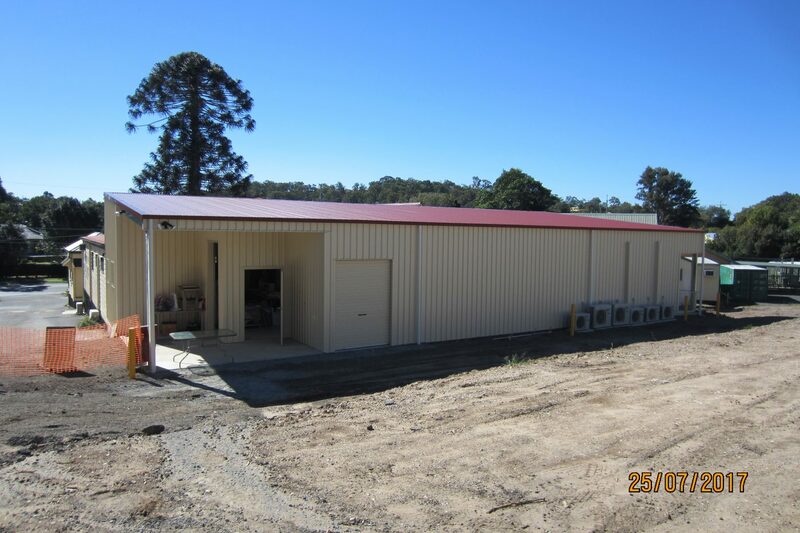 We have the ability to create open front farm sheds which are great for hay or machinery. Extra wide bays are possible to provide clear access for wide equipment. We can also adapt designs to be partially-enclosed and fully-enclosed. 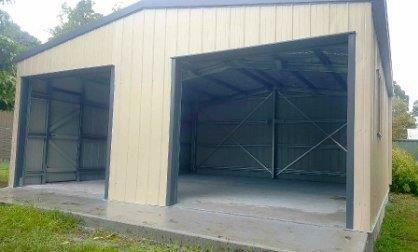 Got some land and need some under-cover storage for a tractor or other farm equipment? We can create massive spans, custom heights, extra wide bay widths and various layouts. 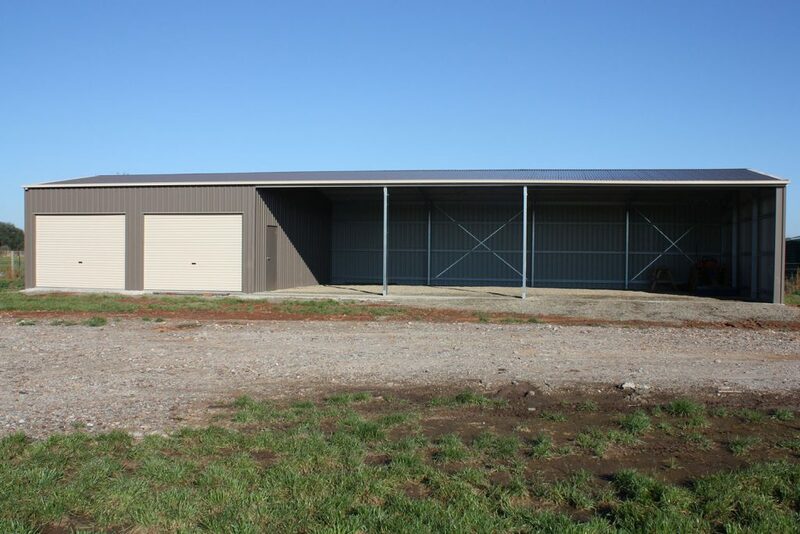 Call Totally Sheds and we will work with you to design a steel building to protect and house all your farm equipment. 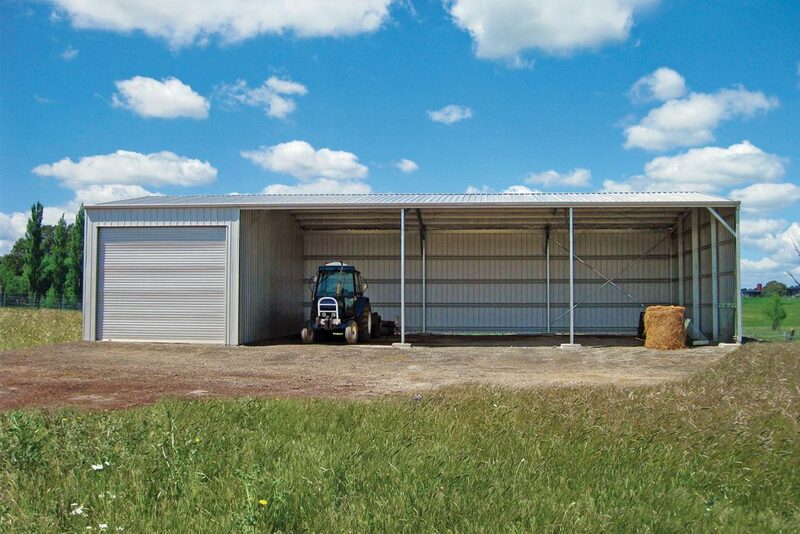 Looking for a large, wide farm shed with extra large openings? We have a range of options to suit your needs. Just start a conversation with us, we are here to help you and we listen. In need of extra extra wide bays to allow easy access for large machinery? We regularly do 12m wide openings and depending on your site can go even wider. Call us and ask the question. Tell us what you need and we will endeavour to deliver. Other say no we say let’s see what we can do. 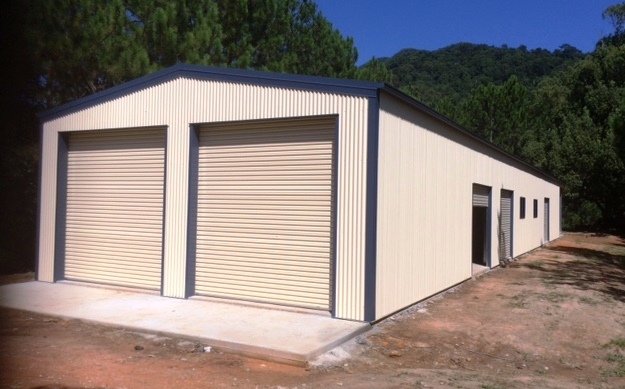 All of our Farm Sheds are manufactured using 100% BlueScope Steel (not cheap imported steel) so they are tough and designed to withstand the harsh Australian conditions. You can choose Zincalume or Colorbond Steel and a range of optional extras to build into the design. Our engineering is ShedSafe accredited and has been audited against the BCA requirements so you know it will last. Totally Sheds does everything from basic Farm Sheds to full custom designs. We supply in Kit-form with all engineering, council, slab plans and comprehensive construction manual so you can build yourself. 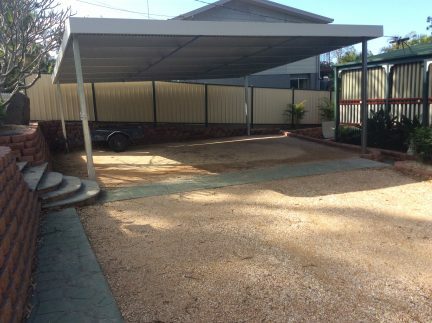 Alternatively, we can arrange the complete job with slab, erect and council (if required) so you simply walk in and start using your Shed. Contact us and begin the conversation about your Farm Shed.